In 1860, the Prince of Wales (later King Edward VII) embarked on a three month tour of North America which included a three-day stay in Boston. On Friday, October 19, the Prince visited Mount Auburn where he had the opportunity to plant two trees: a European Beech and a native American Yellowwood. While the Yellowwood did not survive, the European Beech thrived for over 100 years! 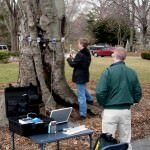 In 1982, Cemetery staff began to first notice what is known as Beech Tree Decline, a condition that seems to affect the largest and oldest trees, specimens 120 to 150 years old. Knowing that the tree might ultimately have to be removed, horticulture staff took cuttings from it in 1993 and Weston Nurseries in Hopkington, MA, grafted these onto several young root stocks. In March 2007, a Picus Sonic Tomograph was used to electronically measure the amount of compromised wood in the tree’s trunk. 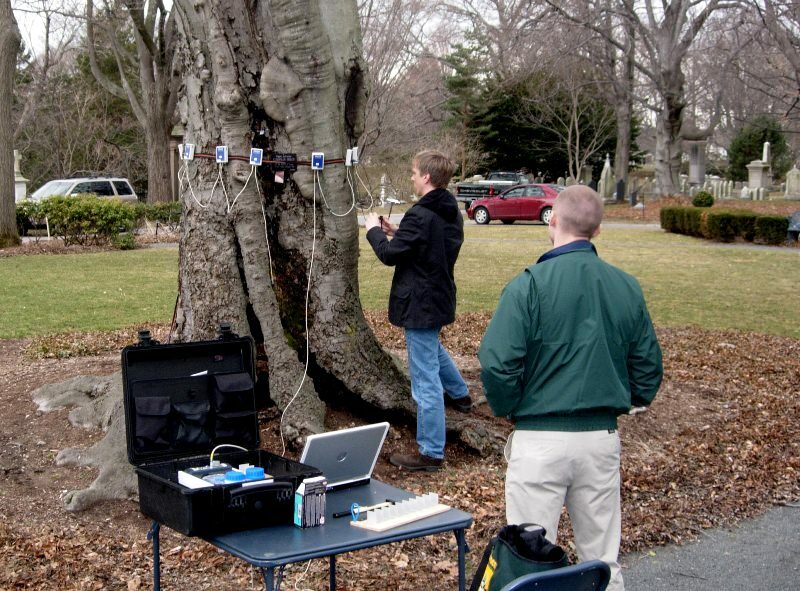 These measurements allowed arborists to weigh the chances of trunk failure. When more than 33% of a trunk’s wood is unsound, arborists usually decide to remove a tree. Imaging of the the Prince of Wales Beech revealed that more than 50% of the wood in the trunk was unsound. 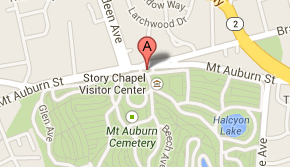 As a potential hazard to public safety, the tree was taken down in March 2008. Of the cuttings taken in 1993, only one scion survived. On May 3, 2008, during a special tree planting ceremony, the sole surviving scion was planted in the same place that the Prince of Wales Beech once stood. So sad. What will you do for this area? I loved the tree and will miss it greatly. Many memories!!! Stay tuned Kim! We will have some staff meetings coming up to discuss what will happen next in the place of the Beech. It is a very important decision. We have all been very sad about the loss of the tree as well.